The 27-year-old has a point to prove after failing to start in Arsenal’s season-opener on the weekend. 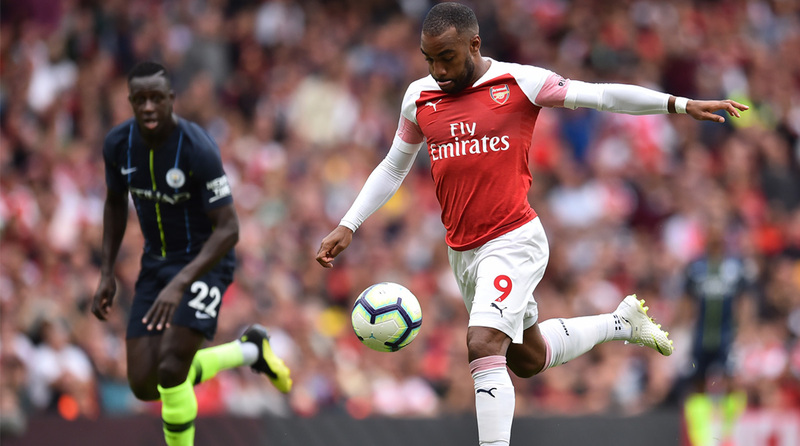 Alexandre Lacazette may not have said anything in public, but he’s definitely smarting after being benched for Arsenal’s Premier League opener and the forward’s been practicing his free-kick skills ahead of Saturday’s mammoth clash against Chelsea. New Gunners boss Unai Emery opted to keep the £56 million signing on the bench as he preferred Pierre-Emerick Aubameyang to lead the line in a 4-2-3-1 formation for the North Londoners against defending champions Manchester City. However, the Emery era didn’t get off to a flyer as Raheem Sterling and Bernardo Silva struck fine goals either side of the interval to give Pep Guardiola’s men a deserved 2-0 victory. Lacazette came on in the second-half in place of the ineffective Aaron Ramsey midway into the second-half and was arguably Arsenal’s best attacking outlet for the final 30 minutes. Last season, Arsenal had one of the worst away records in the Premier League so they definitely head into the clash at Stamford Bridge as the underdogs. Chelsea are also undergoing a transition period under Maurizio Sarri and the Italian’s philosophy is yet to be ingrained into the minds of his players. And while they were impressive in the opening day win at Huddersfield Town, this is the best time to beat the Blues in their own backyard. Arsenal fans have been desperate to see Aubameyang and Lacazette link up in a dual-forward system but it is likelier that Emery will start the former on the left wing and the latter up top, should he elect to play bot together. Saturday’s clash is scheduled for a 2200 IST kick off.